In developing countries, there are few medical facilities serving rural areas. The ones that exist are hampered by lack of staff, supplies ... and electricity. Imagine medical equipment without power, and patients sitting in heat and darkness. Water distribution is hampered by poor distribution system and ongoing load-shedding. Is it not time to find simple, low-cost solutions that can be deployed at the local level for both households and markets, so people can become self-sufficient? Fruits and vegetables are an important part of a healthy diet. Setting a small vegetable garden at home or in your apartment, using just a few pots will help improve self-sufficiency. Is it not time to get started? What will I take home today? So many people live below the poverty line in countries like Pakistan. For a handful, there is unfettered extravagance and luxury, while most live without basic necessities. Is it not time to live simply, honestly and invest in creating jobs and opportunities? 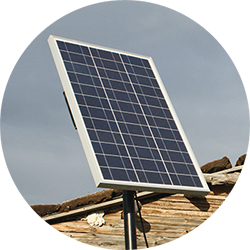 The home solar kit is based on a single 250W solar panel, storage battery, power inverter and mounting. It allows up one to run two fans overnight and also evening use of light bulbs, cell phone charger and small television. 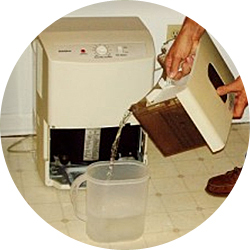 An atmospheric water generator works by cooling the air around us so the water vapor in it can be condensed. Solar power is used to operate the condenser, and increase air flow rate. Best for regions with high relative humidity. We are a US-based, 501(c)(3) tax-exempt, humanitarian organization. Lets work together! Energy is the life-blood of society … its history being as old as humanity. We use energy to pump water, grow crops, deliver food, manufacture goods, and power our homes, hospitals and public places. In fact, per capita energy consumption is a good indicator of economic prosperity. So what will the global energy landscape look like in the next thirty, fifty or even hundred years? And how are countries like Pakistan doing in terms of adding new capacity year over year? If fact, the country is falling behind compared to its neighbors such as India and Bangladesh, and serious, sustainable changes are warranted. In 2015, electricity demand in Pakistan is 21000 MW, while production is about 15,500 MW. Many urban areas can see eight hours and rural areas experience up to twelve hours of daily load-shedding. Per capita water availability in Pakistan has fallen from 1500 cubic meters to 1017 cubic meters between 2009 and 2015. This makes Pakistan the third-most water-stressed country in the world. 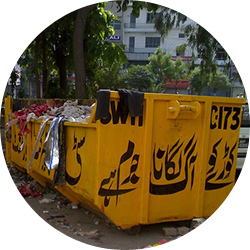 Over 50% of solid waste in Pakistan is not disposed properly - being dumped in open spaces, thrown into water/drainage, or burnt outdoors.